Glory Metal Works was one of the leading manufacturers of pressure lanterns and kerosene lamps alongside World-Light (covered in an earlier article), Lea Hin and Union Metal Works (to be covered later). The firm traced its origin to Kwong Hing Electroplating Co (廣興電鍍), which was founded by Lee Pun-yee (李彬義, 1888-1972), a native of Sansui in Guangdong province, in 1926. Kwong Hing operated out of 19-21 Tai Wong Street East in Wanchai and the Lee family was influential in the Wanchai community. After the War, Lee Pun’s sons Lee Wan-yuen MBE (李運源) and Lee Kan-yuen (李根源) joined the family business and formed Glory Metal Works in 1950 to manufacture pressure lanterns. As electroplating was a key component of the lantern production process, Kwong Hing’s experience in the field was beneficial. In 1955, Glory Metal Works moved into its 5-story building at 11 Shau Kei Wan Main Street East (東大街) in Shau Kei Wan facing the water. According to the article shown above, the site is 8000 square feet with the first three floors being factory space, the fourth floor being workers’ dormitory and the fifth floor was cafeteria. The factory had 125 workers at the time making three different types of pressure lanterns (200W, 300W and 500W) which were exported to the Middle East, Indonesia, South America and East Africa. The plant produced 6000 300W pressure lanterns per month with the intention of expanding to 10000. The article also added that the production process of pressure lanterns involved over a hundred steps and Glory used top quality British metal and a large amount of equipment. At the time Glory manufactured all parts of the lanterns except for the bulb and the glass globe. 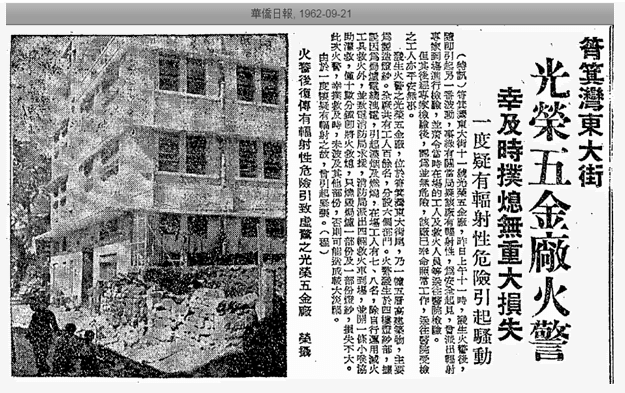 In 1962, a fire took place at the Shau Kei Wan plant – although it was put out quickly the government sent in experts to investigate due to concerns about radioactivity. The 1960s was a period of high growth for Glory thanks to the strength of export markets in the Middle East and Southeast Asia and the support of distribution partners shown in the articles below. In addition to pressure lanterns and kerosene lamps, Glory also manufactured stoves, rayon mantles, brass and zinc alloy padlocks & drawer locks. 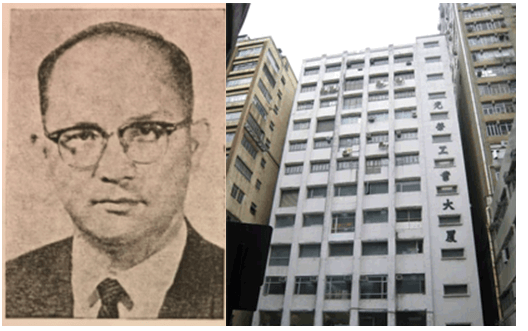 By 1968, Glory had several hundred workers and in August of that year, they moved into the 12 story, 80000 sq ft Glory Industrial Building at 22 Lee Chung Street in Chai Wan with Glory occupying 8 of the 12 floors. F.I.C. Herridge, the general manager (later chairman) of the Mercantile Bank was the guest of honor at the opening ceremony of the building. 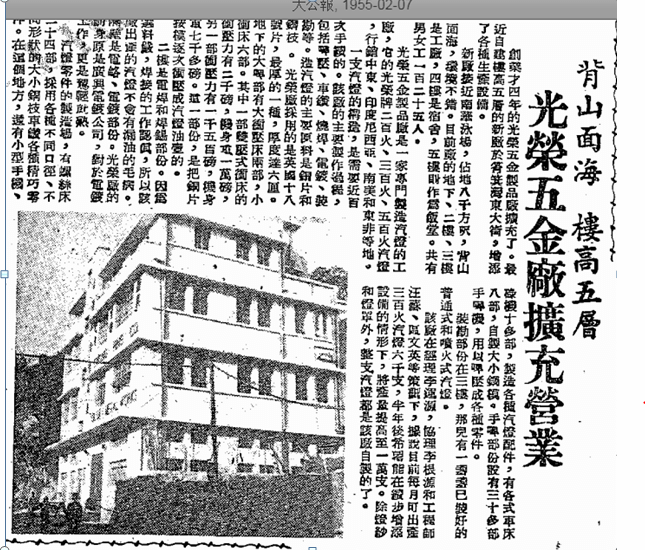 While its factory was located in Chai Wan, Glory maintained its office at 235, Queen’s Road East in Wanchai and Lee Wan-yuen served as chairman of the Wanchai Kaifong Welfare Association for many years and lived in nearby Tung Shan Terrace. Born in Canton in 1919, Lee Wan-yuen was a graduate of St Joseph’s College and served as chairman of the HK Kowloon Joint Kaifong Research Council. He was also a director of the CMA and served on the board of the Chinese Permanent Cemeteries from 1973 to 1982. For his community involvement, he was awarded MBE in 1966. As a firm, Glory Metal Works was incorporated in 1955 and dissolved in 1993. Glory Industrial Building still stands after half a century and grabbed attention when the famous actress Maggie Cheung bought two units in the building in 2013 for HK$25 million. This article was first posted on 27th July 2018.